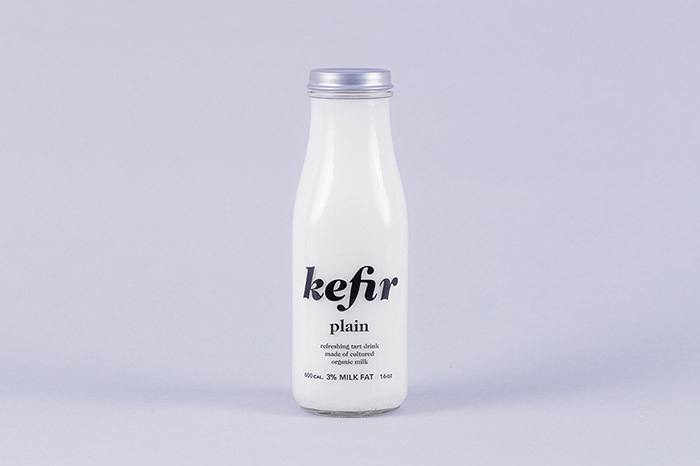 Kefir is a nutrient-rich fermented beverage made with milk and kefir grains, which has been consumed in Russia and Central Asia for over hundred years. 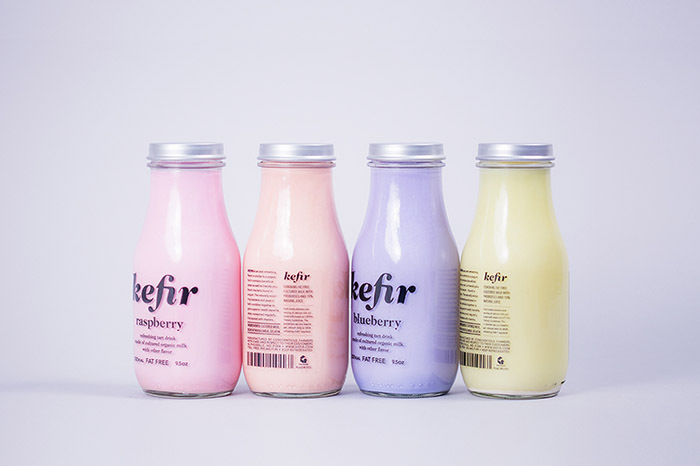 However, it is only recently that it has gained popularity in Europe, Japan, and the United States. 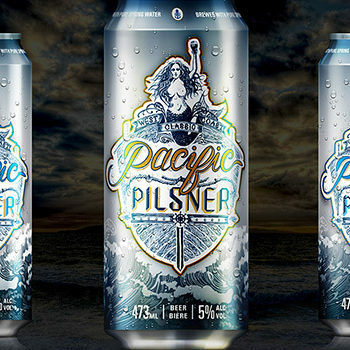 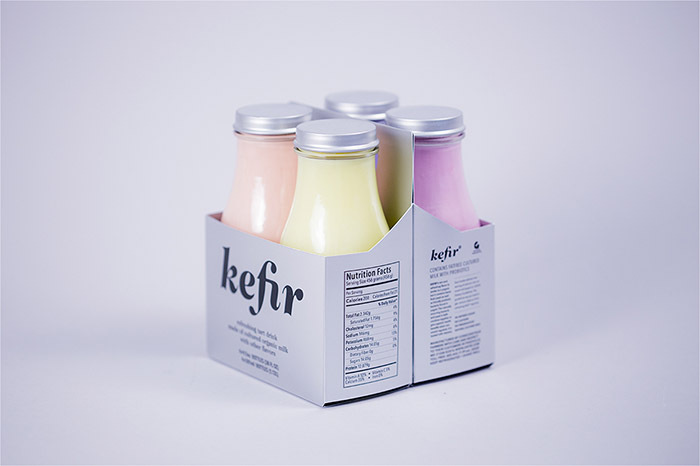 This conceptual packaging design is meant, above all, to emphasize the qualities of the drink itself. 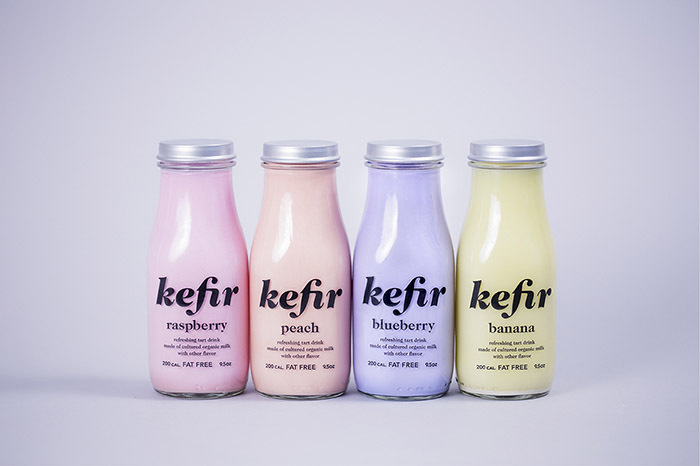 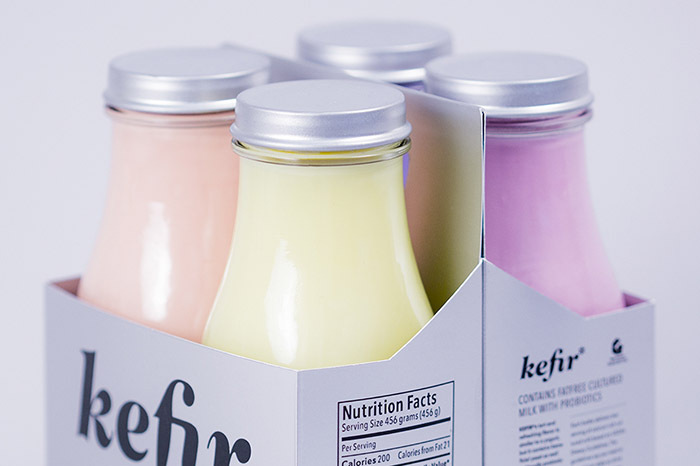 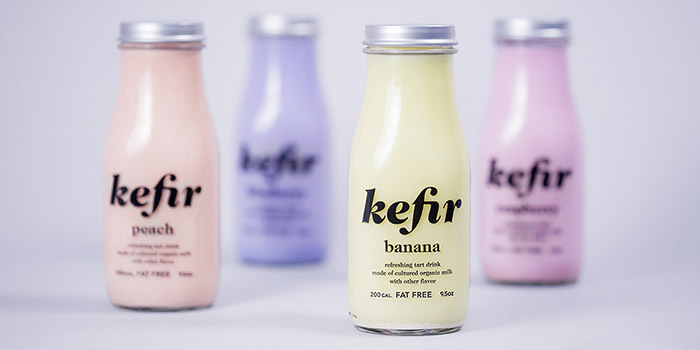 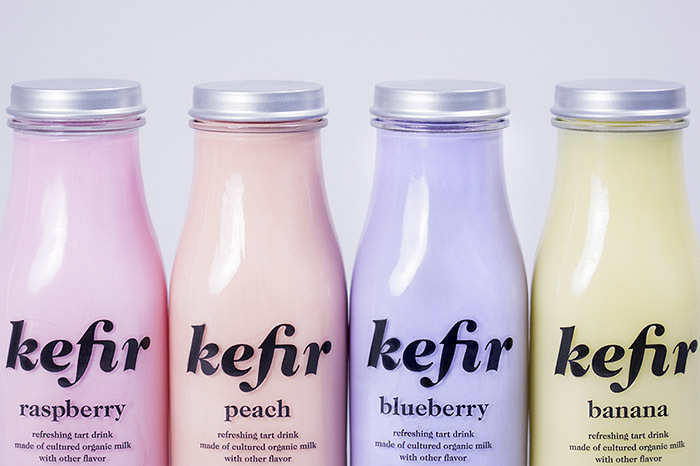 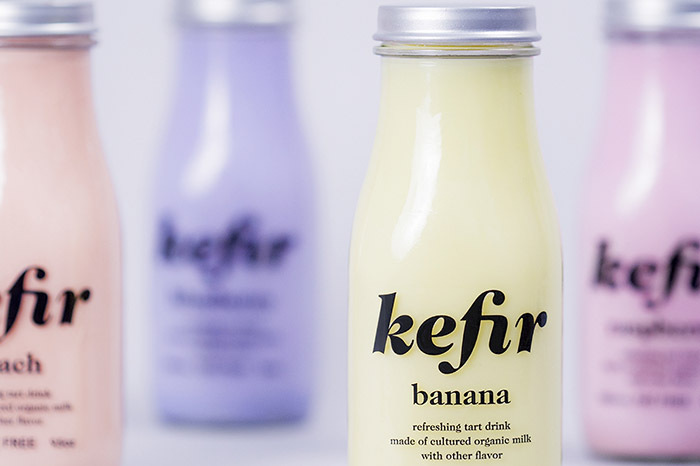 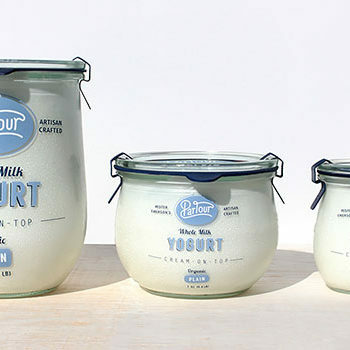 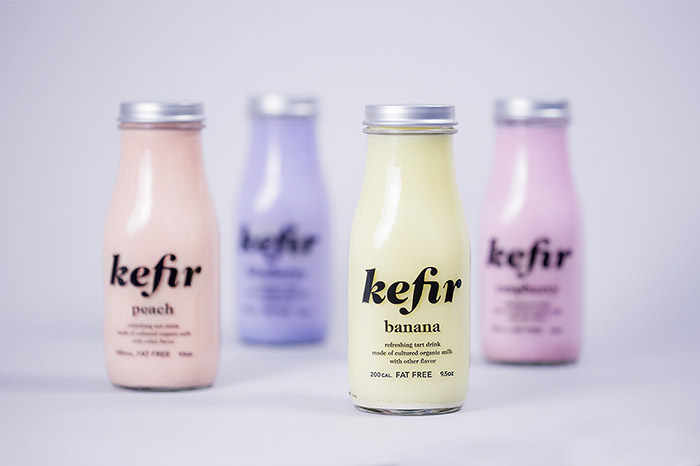 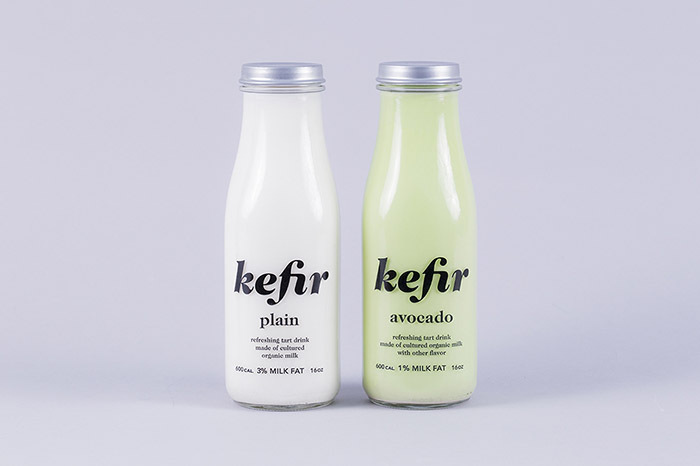 The transparent glass vessel and translucent labels let the consumer see the contents, the color, and the texture of the kefir while still communicating the high-quality of the brand. 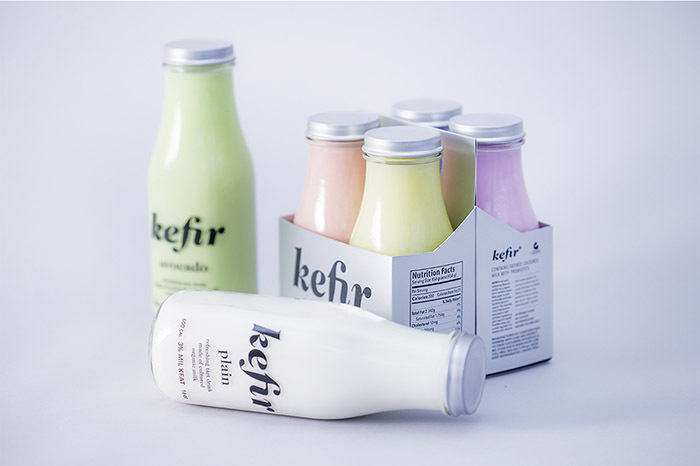 Kefir is offered as plain traditional drink as well as with several juices mixture. 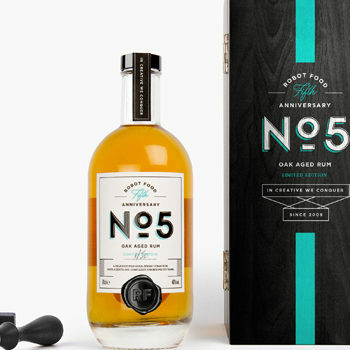 Designed by: M M, USA.